Professor Maureen A. Howard tackles the use of peremptory challenges in criminal cases. Taking the High Road: Why Prosecutors Should Voluntarily Waive Peremptory Challenges, 23 Geo. J. Legal Ethics 369 (2010), available on LexisNexis, Westlaw. Using published studies and her own trial experience, Professor Howard questions the usefulness of peremptory challenges. She moves on to explore the costs of their use: limiting the breadth of community participation and increasing the public's perception that lawyers are manipulating the system. She argues that prosecutors should voluntarily waive their right to use peremptory challenges. The use of peremptory challneges has questionable value and risks violating the constitutional rights of both defendants and prospective jurors. . . . Instead of waiting for judges and legislators to respond to the decades of criticism levied at the use of peremptory challenges and the narrow definition and application of for-cause challenges, the prosecutor should 'take the high road' and waive peremptories. Unlike federal judges, who are appointed by the President with the advice and consent of the Senate, our state judges are elected by the people. But in practice, most of them are first appointed by the governor to fill mid-term vacancies and only face election if they are opposed at the end of their terms. There is very little public scrutiny of the appointment process, and when elections roll around, many voters don't have good tools for evaluating candidates. Professor William R. Andersen turns his attention to these issues in Judicial Selection in Washington -- Taking Elections Seriously, 33 Seattle U. L. Rev. 605 (2010), available on HeinOnline, LexisNexis, Westlaw. Professor Andersen suggests that some problems cannot be fixed within the framework of our election system, but some can. Stuart Scheingold, professor emeritus of political science and a leading scholar of law and politics, has died. Obituary: UW professor renowned for work on law, politics, Seattle Times, June 28, 2010. "He was quite simply one of the world's leading commentators on law and politics," said Amherst College's Austin Sarat, a professor of jurisprudence and political science with whom Professor Scheingold directed the multivolume, internationally oriented Cause Lawyering Project. For more -- including many works on European integration -- see this list on WorldCat. 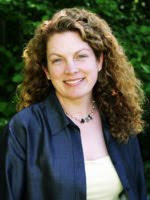 Prof. Scheingold's faculty profile is here. 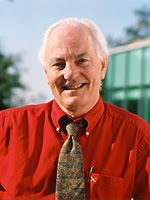 In his honor, the Department of Political Science has the Stuart A. Scheingold Professorship of Social Justice (now held by Christopher Parker). Lori A. Ringhand (UGa) and Paul M. Collins, Jr. (U N Texas) have compiled a dataset of the questions asked by members of the Senate Judiciary Committee of nominees to the U.S. Supreme Court since 1939. Their paper, May it Please the Senate: An Empirical Analysis of the Senate Judiciary Committee Hearings of Supreme Court Nominees, 1939-2009, investigates "if questioning patterns differ depending on the race or gender of the nominee" and finds that "the Bork hearing is less of an outlier in several ways than is frequently assumed, and [that] abortion has not dominated the hearings." The authors also discover "notable disparities in the issues addressed by Democratic versus Republican senators" and "that female and minority nominees face a significantly different hearing environment than do white male nominees." When attorneys and their clients decide whether to settle and for how much, they try to predict how things will turn out if they go to trial, hoping, of course, to do better. In a study of thousands of civil cases, researchers found that attorneys were very often wrong. Three-fifths of plaintiffs and a quarter of defendants got a result at trial that was worse than the settlement they could have had. The cost of the error was much greater for defendants: plaintiffs' average error was $43,100, but defendants' average error was $1,140,000. Randall L. Kiser, Martin A. Asher, and Blakeley B. McShane, Let’s Not Make a Deal: An Empirical Study of Decision Making in Unsuccessful Settlement Negotiations, 5 J. Empirical Legal Studies 551, 566 ((2008). This book differs from other books and articles on settlement negotiations in that it places greater weight on scientific evidence than the war stories of attorneys, mediators and judges; it assumes that empirical studies are more instructive than anecdotes and statistics are more dependable than surmise. p. 5. But Kiser goes easy on his audience by presenting the social science without "probability theory, regression analysis, game theory," and so on "for a simple reason: attorneys generally don't like them, don't understand them and won't use them." So the book is a practical, how-to work backed by scholarship (but not weighed down by it). It should be of interest for professional responsibility as well as trial practice and alternative dispute resolution. Professor and former dean Gerald Uelmen laments that law reviews have become less useful to practicing lawyers and judges, contrasting the time several decades ago when judges often turned to law reviews for guidance with today. But he predicts that law reviews won't go away anytime soon, since employers still value law review experience, which does indeed help students' writing skills. Gerald F. Uelmen, The Wit, Wisdom, and Worthlessness of Law Reviews, Cal. Law., June 2010. Congratulations to the editors of the Washington Journal of Law, Technology & Arts, which made its debut yesterday. It begins its life at volume 6, number 1, because it replaces the Shidler Journal of Law, Commerce + Technology as part of a merger with the Law, Technology & Arts Group (LTA) a new interdisciplinary research unit at the law school. LTA was formed in 2009 to take a comprehensive approach to legal issues involved in artistic and technological innovation. LTA consolidates a J.D. concentration, an LL.M. program, the former Shidler Center for Law, Commerce + Technology, and the Center for Advanced Research in Intellectual Property (CASRIP) into a single research team. Do you have something to say about law, technology, and the arts? The Journal accepts outside submissions from students, law professors, and practicing attorneys. Quantitative social scientific information plays an increasingly important role in both litigation and legal scholarship. As a result, it is often necessary to be able to cite to statistics and datasets as part of your legal research but identifying sources of such data can be tricky, especially when it relates to foreign or international statistics. In response to the growing interest in and need for statistical information in many fields, the Guardian newspaper has created a blog and online directory to the all data sources that they use in producing statistics for their news stories. The database can be searched using keywords or browsed by country or topic. 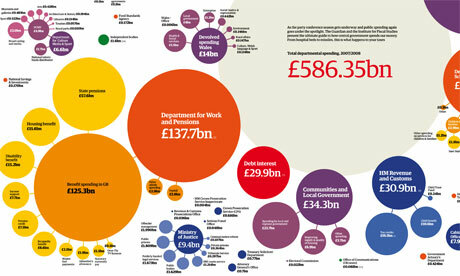 There is also a page devoted to US data, including information related to health insurance, war and the environment. Established eight years ago, the International Criminal Court (ICC) is the first permanent, treaty based, international criminal court established to try perpetrators of the most serious crimes of concern to the international community. The Rome Statute -- the treaty that set up the court -- was adopted by 120 countries in 1998. At that time, 7 countries voted against the Statute: China, Iraq, Israel, Libya, Qatar, the United States, and Yemen. Human Rights Watch page. The Rome Statute entered into force July 1, 2002, after it was ratified by 60 countries. Now, eight years later, the number of states parties has nearly doubled, to 111 countries. They are holding a review conference in Kampala, Uganda, to take stock. The conference began on May 31 and continues until June 11. For more, see the American Society of International Law's ICC Review Conference Resources. The U.S. objections to the ICC are summarized in U.S. Policy Regarding the International Criminal Court, a Congressional Research Service Report (updated Aug. 29, 2006). For very current US comments, see the Statement at the Review Conference of the International Criminal Court by Harold Hongju Koh, Dept. of State Legal Adviser, June 4, 2010. The Reference Office is open Mon - Fri from 9am - 5pm and Sunday from 1 - 4pm. The Library will also be closed on Sunday & Monday, July 4 & 5, in observance of the Independence Day holiday. The Electronic Freedom Foundation has issued step-by-step instructions on How to Get More Privacy from Facebook's New Privacy Settings. This is important because you must take affirmative steps to adjust your settings in order to take full advantage of the revised privacy practices. While some information, such as your name, profile picture and gender, will remain publicly available, these steps are designed to provide as much privacy as Facebook's new system allows. Our colleagues at Santa Clara University have put together a guide on Arizona SB 1070 - Immigration Law (LawGuides at Santa Clara University School of Law). Traveling this summer by air? Worried about being bumped or sitting in the airplane on the tarmac in the hot sun during a delay? The Department of Transportation has a new proposed rule that seeks to "improve the air travel environment for consumers...." This document includes a link to the Federal eRulemaking Portal that permits you to submit an official comment to the agency about the proposed changes. But, would you perhaps prefer a shorter summary of the proposed changes and a more "Web 2.0" way to comment? a pilot project that provides an online environment for people and groups to learn about, discuss, and react to selected rules(regulations) proposed by federal agencies. It expands the types of public input available to agencies in the rulemaking process, while serving as a teaching and research platform. When you visit the site, note on the left the Rule Dashboard, which lists and summarizes the proposed changes in the official proposed rule. You can vote on which changes are important to you, and submit your own comments. The comments are then summarized by the moderators of the site (a team of faculty and students working on a particular rule) and submitted to the agency. So, if air travel is in your future, consider taking this opportunity to tell the Department of Transportation what consumer protections you think should be implemented! CSI New York -- in the 1920s and '30s! 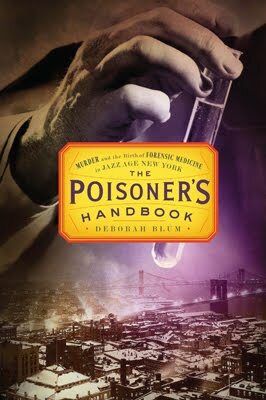 In The Poisoner's Handbook, Deborah Blum tells the human and scientific stories of poison and investigation in the 1920s and 1930s, focusing on New York City and two crusading scientists: Charles Norris, the city's first medical examiner, and Alexander Gettler, the head chemist in the ME's office. This work mixes a couple of nonfiction genres: true crime and popular science. A couple is found dead: accident or murder? Several family members die: all victims of disease or were they poisoned? It takes pretty sophisticated science to tell -- science that Norris and Gettler had to develop as they went along. There's also some interesting social history. In addition to working on individual crimes, the scientists advocated (not always successfully) for public health measures -- workplace safety, a stronger FDA (able to ban, for instance, "medicines" with radium), and an end to Prohibition-era poisoning of alcohol (see Blum's account in Slate). Deborah Blum, The Poisoner's Handbook: Murder and the Birth of Forensic Medicine in Jazz Age New York (HV6555.U62 N373 2010 at Good Reads). Publisher's page. New Music Video Sensation: Librarians! Even if finals have you too busy to go to the Seattle International Film Festival, you can still check out this winner from the UW Information School's iSight Film Festival. The video has been noticed by KING5 and MSNBC. It's got a good message, too. Thanks to Kaden Mack and Nick Marritz, who both sent the link.